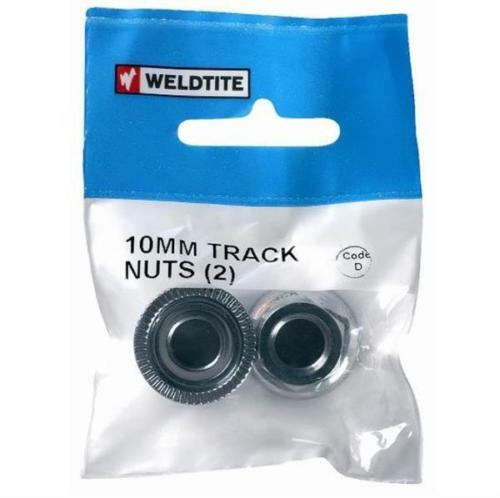 How can I un-seize track nuts? I bought a set of these about 18 months ago now and for a little while they continued to work as they should but then now they're seized up. Is there anything (short of ordering another pair) I can do to release them? They're not stuck to the bike or anything like that, it's just that the grippy bit is supposed to spin independently of the hex bit. I would use the same techniques as used on rusted hardware. Liberally apply a penetrating oil (liquid wrench, PB Blaster, CRC Knocker Loose). Use a penetrating oil not a lubricant to break them loose. With the nuts being so small you can soak them in a small container for several days. Then hold the flange with pliers while turning the nut with a wrench. Once it is freed up I would apply either Never-Seize or a dab of grease that will keep the water out and rust from forming. Not the answer you're looking for? Browse other questions tagged parts mechanical bolt or ask your own question. How can I tell if a chain has a master link? How can I tell which size chain my bike uses? How can I move the handlebars on a mountain bike close to the rider without affecting handling and control? How can I find inexpensive salvage repair (frame) parts? Track cog threading or lockring threading? Can a cyclometer be used with any bicycle?